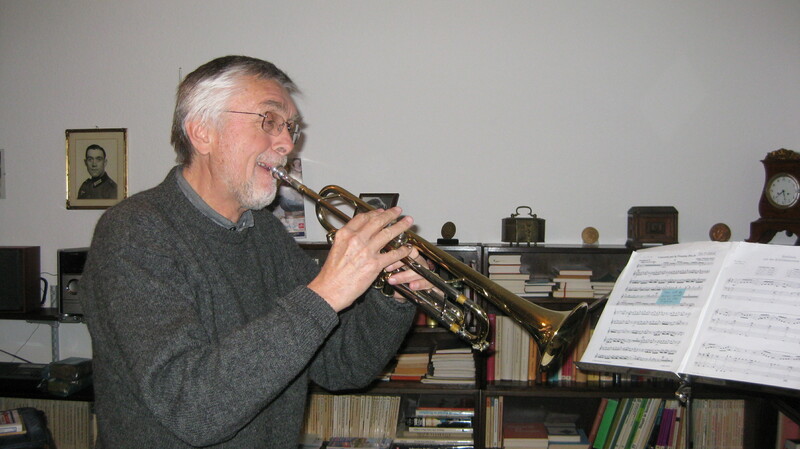 Kurt Oberschäfer practicing in his home studio. If you’ve been reading this blog during my trip to Germany, you have no doubt seen many references to my amazing host, Pastor Kurt Oberschäfer. Although he has recently retired, he was for many years the Protestant Chaplain for the Germany military in the USA and Canada, as well as a pastor at several Lutheran churches in Germany. In addition to his work ethic, kindness, and generosity, he is also known for being “The Pastor with the Trumpet.” Wherever he was working, he would always play his trumpet during services and share his love for music with his flock. Today he still practices over an hour every day in his home studio. 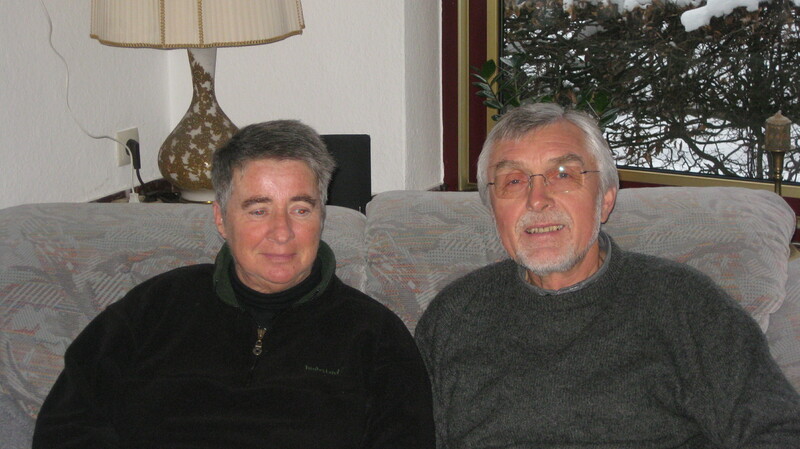 On one of our days off from concerts, Kurt invited me to his lovely home in Paderborn for a delightful afternoon of gracious hospitality with his wife, Rosemarie. He also showed me a map in his home studio that plots all of the places he has visited in the U.S. and Germany. Very impressive! All of the work that Kurt has done to organize the tour with Reinhard Ehritt, the Detmold Hochschule, sponsorships, rehearsals, venues, ticket sales, and logistics is incredible, and has been over a year in the making. If I live to be 100, I could never thank him enough! Thanks, Elisa, for your many kind words about Kurt. He has been so dedicated to planning and bringing this concert tour into reality. Each of the concerts is a remarkable accomplishment for him — and of course for you even more so. 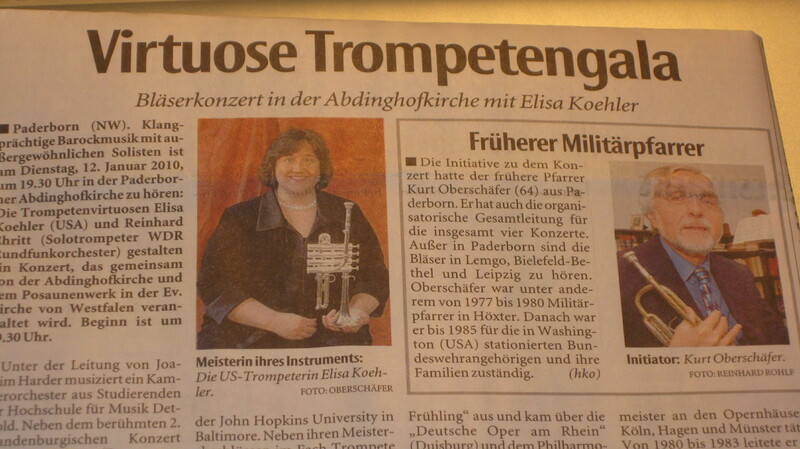 Bravo for you and him and all the musicians.